Flotation Work Station, HistoOrientator and Dryer | Polysciences, Inc.
Make your tissue preparation easier, safer and more efficient. 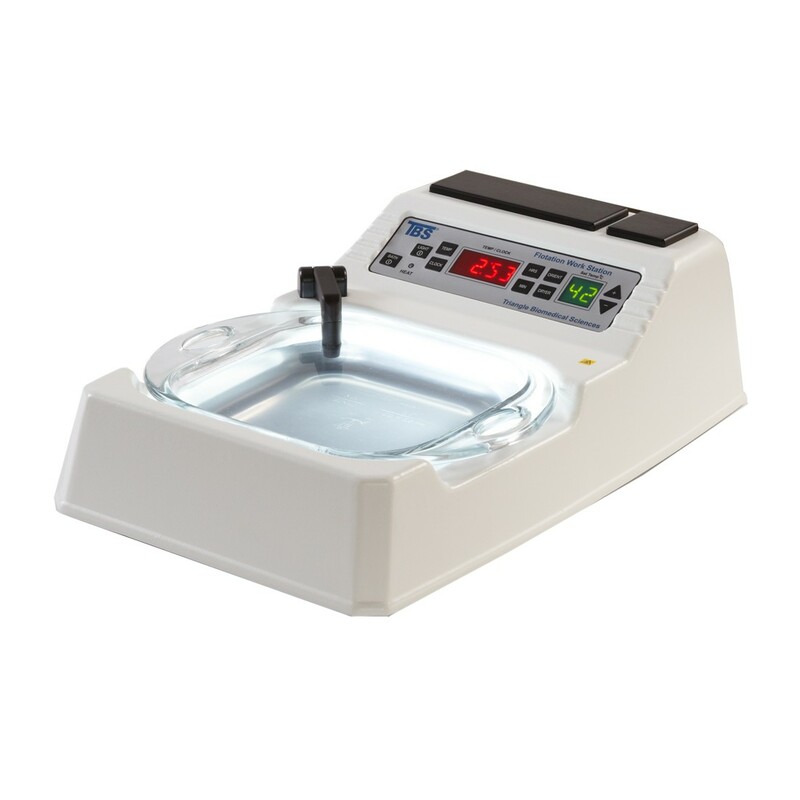 Removable glass dish waterbath with chemical resistant plastic housing, optimum specimen viewing provided a high contrast background illuminated by an LED light array. The dependability an safety of up to date microprocessor controlled electronics, combined with histo/orientor for flattening sections and a heated slide dryer in one compact unit. Flotation Work Station, microprocessor controlled w/removable glass bowl 8" x 8", slide dryer 2" x 5" and tissue orientor 2" x 2"